Aries ascendant, horoscope consultation, understand importance of ascendant or lagna, astrologer for minute analysis of horoscope, Birth chart analysis, Vedic astrology for analysis and solutions of problems. Ascendant is very important in vedic astrology. It is also called the lagna in hindi and it decides many important things about the person like as nature, will power, mind power etc. 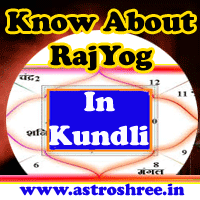 If we want to know about in which ascendant we are born then it is good to check out our lagna kundli. The number which is written in the first house will clear that which is our ascendant. Here in this article I am going to clear some important things about Aries ascendant or Mesh Lagna. If in first house Number 1 is written then the person is born in Aries lagna. When horoscope is made by using date, time and place of birth then lagna kundli is generated in which first house is very important to know about the person personality, calibre, nature, power etc. This first house is also called ascendant or lagna. Aries is controlled by Mars which is the planet of power, passion and so this type of persons are active and short tempered. They are passionate, adventurous, courageous, daring in nature. They are ready to take risk to achieve there target. If the Mars is strong in birth chart then it also give rise to ego and temper. These types of person also become a good fighter, leader, athlete etc. If the Mars is present of Capricorn zodiac then it blesses the person with property benefit, strong will power, strength. It is also possible that person makes career in defence services or become a successful entrepreneur. On the other hand if the Mars is present of Cancer zodiac then the person become quarrelsome, destructive minded and face losses in property etc. In this case it is also possible that person suffers from physical problem or accidents. The over negative power of Mars also makes a person criminal. So it is always necessary to engage in some work to not think about negative direction. Aries ascendant people are also a good friends and in negative condition they are also a good enemy. They have enough power to defend there opponent. The combination of Mars with Rahu or Saturn is not good and person suffers a lot in life due to this. If you belong to Mesha lagna or aries lagna then here are some important tips for you which will open the way of success for you. 1. In case if Mars is not favourable in kundli then avoid investing huge in property. 2. Keep control in your temper. 3. Always engage in some creative work so as to maintain your power and success. 4. Keep control on your feelings. 5. Use red coral if Mars is supporting you.